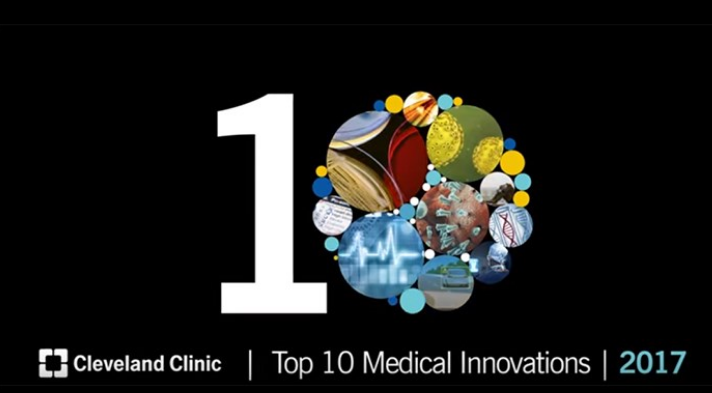 Top 10 Medical Innovations To Be Game Changers in 2017! Topping the 11th annual list is the harnessing of the microbiome, the gut bacteria swarming in all of us. Recent discoveries have revealed the power of microbes to prevent, diagnose and treat disease. The healthcare industry will soon be pouring resources into addressing the potential for new therapies, diagnostics, probiotics and other products. Another powerful innovation is cellular immunotherapy, where cells are removed and reprogrammed to fight cancer. The re-engineering illustrates one of the emerging characteristics of medical innovation, according to Dr. Michael Roizen, the Chief Wellness Officer at Cleveland Clinic.